A leader of the ruling BJP, Raj Pal Singh, has called it a "conspiracy to kill the Chief Minister", and demanded legal action against the three accused. 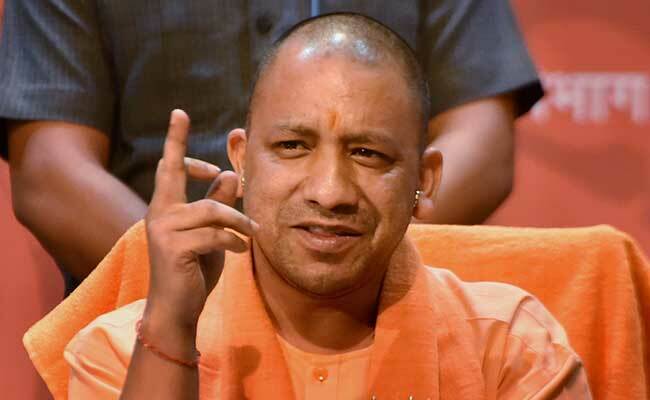 Lucknow: Three men charged with circulating an obscene image of Chief Minister Yogi Adityanath online and also "declaring" a bounty of Rs 1 crore for him, are being hunted by the police in Uttar Pradesh. One of them, Sushil Yadav, allegedly posted an objectionable photo of Yogi Adityanath on his Facebook page last week. One of the comments below the post talked about a one-crore reward for anyone who would shoot the saffron-robed Chief Minister. A leader of the ruling BJP, Raj Pal Singh, has called it a "conspiracy to kill the Chief Minister", and demanded legal action against the three. Unconfirmed reports suggest that two of the accused are local workers of former Chief Minister Akhilesh Yadav's Samajwadi Party, which lost power in Uttar Pradesh in March. In his complaint to the police, Mr Singh said he was in the court complex on Sunday when he saw the photo-shopped image on his mobile phone. The picture, he said, was liked by Sunil Yadav and Syed Rahman Ilyas. All three have been charged for spreading religious hatred, say the police, because of the nature or the image. They are missing.